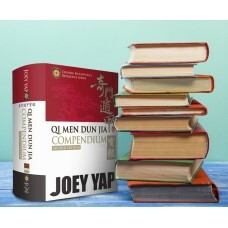 In Qi Men Dun Jia, ‘Men’ represents the 8 Doors found in each sector of a Qi Men Chart. Of all the Qi Men components, the Doors are unique for being the most visually evocative. Due to their influence on actions and events, the 8 Doors tend to have a selection of tasks and proceedings that are deemed suitable and unsuitable for, thus making them useful for a large variety of activities. 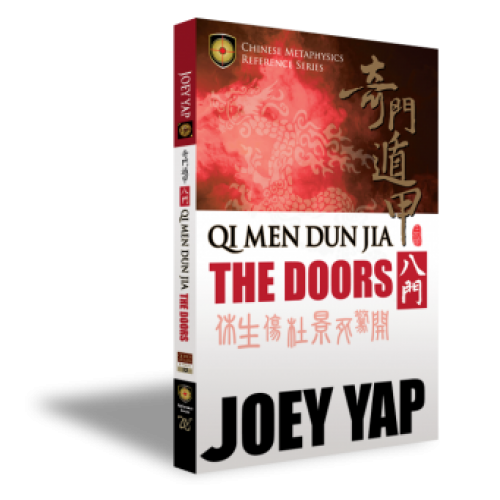 Qi Men Dun Jia when translated, means “Mysterious Door Hiding the Jia” – making it obvious that the Doors play an important role in representing the state of man and everything else. 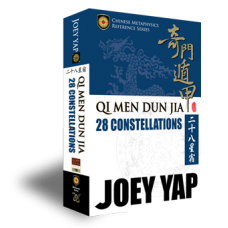 These 8 Mystical Doors of Qi Men, also known as the Human Plate, govern our actions and the events surrounding our lives. When we reach for the power of the Doors, we will be able to maximize the potential of what we do, to obtain the best possible result in life. 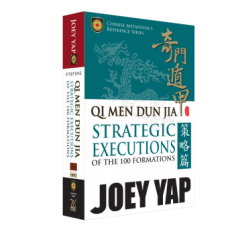 Qi Men Dun Jia: The Doors for the first time, brings together a wealth of information on the 8 Doors for the versatile application of Qi Men. Discover and learn how to recognize and interpret the guides and wisdoms presented by these Doors, and through this process gain a deeper understanding of one’s self and the world that surrounds us.